Hello everyone, this is Julia from over the pond with my first blog and recipe. 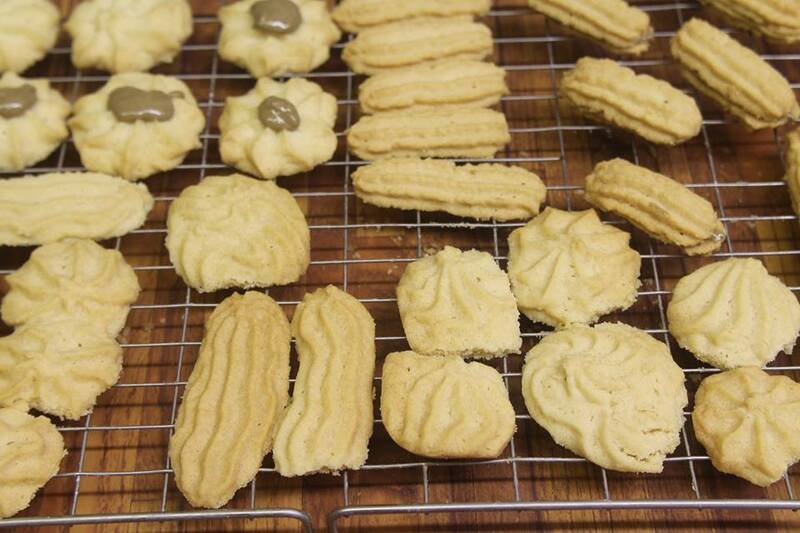 These Viennese fingers and rosettes are made with a kind of shortbread mixture and are very rich. I hope you enjoy making them and eating them with a nice cup of tea. Preheat oven to 160C/320F/gas mark 3. Cream together the butter and sugar thoroughly; stir in flour and a few drops of vanilla. Put mixture into a piping bag and pipe fingers about 3 inch long, or rosettes or both onto a baking tray and bake for about 20 mins. When cool sandwich together with jam, chocolate or butter icing. Or dip the ends in melted chocolate. Once I get the right ingredients, I am SO going to make these!